Planning a family holiday and still contemplating on where to take your kids? Are thoughts popping into your mind constantly about which destination is best suited, if the country is child-friendly, or whether your kids will enjoy their holiday or just get bored and wish they were back home? All parents go through a mini panic attack when planning a family holiday, it is perfectly normal! What if I told you, I had the perfect holiday destination that will blow your kids minds away? Cyprus, the ultimate family holiday destination! The Mediterranean island offers families plenty of exciting family activities and places to visit. Below we have put together a list of things you should look into in order to help you organise your holiday as best you can! Those who have already been to Cyprus with kids are free to add anything we have forgotten! We wish you a fun-packed family holiday! Since you are treating your kids to a holiday, why not make it an educational experience as well? It is a great idea right?! 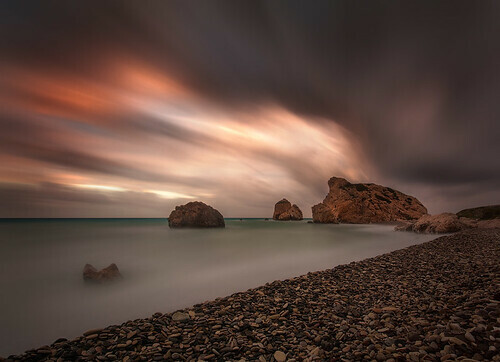 Cyprus is an island like no other you have visited. Its rich cultural heritage and turbulent past is filled with fascinating stories of battles, conquests and ancient civilisations which are sure to interest your kids to the maximum! The island is covered from head-to-toe with ancient Byzantine and Medieval castles, Greco-Roman amphitheatres, Byzantine churches and monasteries, Roman palaces, mythological sights and multiple archaeological sites. Take a stroll through the Old Port of Paphos where you will find the Byzantine Castle. This famed landmark has witnessed centuries of historic events and suffered many invasions of past civilisations. The castle is always a hit with the little ones! 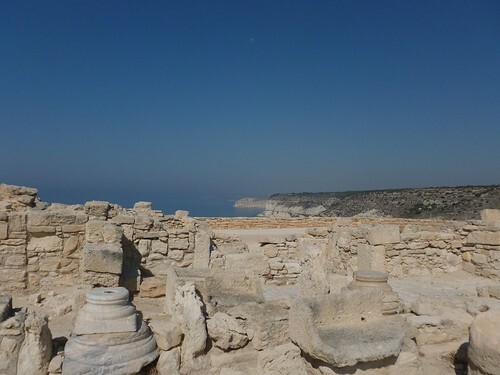 One of the most celebrated archaeological sites in Cyprus is the ancient city-kingdom, Kourion, which is always a hit with children! Kids are especially fascinated by the Greco-Roman amphitheatre which was originally built in the 2nd century BC and was later renovated and enlarged in the 2nd century AD. Today, it is still used, during the summer months, for musical and theatrical performances. I know, children hear of religion or monasteries and churches and run the other way! This monastery though is different, and it is guaranteed your kids will love visiting and exploring it up close. Located in the heart of Ayia Napa, the monastery is a symbol of calmness in the otherwise boasting and crowded tourist resort. Children are usually in awe with the 16th century building which walls unveil a 500 year story of battles and foreign invasions. Treat your kids to a tour of the island’s mountainous landscape! 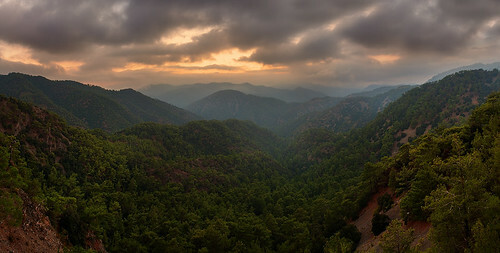 The Troodos Mountains decorate the heart of the island, so no matter where you are staying; you can easily sacrifice a day on the beach, to meet the real culture and customs of Cyprus. Traditional villages, with cobblestoned alleys, traditionally stone-built homes, are ideal for an adventure! Meet the locals, who will embrace your kids like they are their own and invite you in for a drink or feast! Kalosorisate (welcome) or kopiaste (Join us) are the most frequently used phrases in the Cypriot dialect! Take a hike within the mountain trails-great way to exhaust your kids, and meet the island’s rich pine forests. Your children will be fascinated by the mountains unique beauty and natural landscapes! Cyprus is most popular for its striking bays and emerald waters! Its coastline is absolutely divine and offers all kinds of beaches from party hubs and secluded bays to family spots and natural treasures! Most beaches throughout Cyprus are organised and fully equipped with sun beds, shady umbrellas and water sport facilities. To top things off, beaches tend to be surrounded with cafes, restaurants and other foodies making sure families can spend a full and fun-packed day by the beach. Lara Bay is a must-visit which your children will remember for decades to come! The bay is home to sea turtles which visit the island and lay their eggs. Many gather during hatching season merely to witness the miracle of nature. 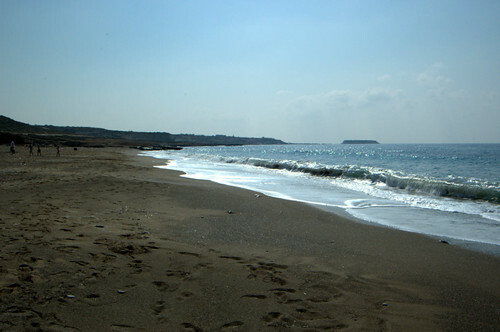 Coral Bay is amongst the top most suited beaches for children. Coral Bay is made up of a huge strip of pebbled sand and glistening shallow waters perfect for children to have a fun-packed and safe day on the beach. Pernera bay dots the coastline of Protaras, the most favoured tourist resort on the island. Did you know that more than 50 beaches on the island have been awarded a blue flag? Well, Pernera Beach is one of them! The waters are crystal blue, the sand is golden-white and the scenery is breathtaking! Cyprus offers toddlers many thrilling activities they will love and remember for years to come. Family holiday is a time where parents and children get to spend quality time while visiting places or doing activities together! Cyprus is the unique destination to create family memories! Aphrodite Water Park in Paphos and WaterWorld Park in Protaras, are two of the most popular water parks on the island, both offering loads of fun for the whole family. Enjoy a fun-filled day at the water parks, while your kids ride on the multiple thrilling waterslides! Limassol is home to the island’s biggest zoo where children have the chance to meet exotic and rare animals ranging from birds to lions and tigers! The Limassol Zoo is always a great hit amongst children! Cyprus is truly a haven for children, where they create memories which they carry for years to come! The kid-friendly activities outlined above are just a few of the places and activities your little ones will enjoy. Cyprus offers so much more unique and exciting places you must see and do, like horse and donkey riding! Your children will have a blast and will talk non-stop about their holiday in Cyprus! login or register to comment without captcha or to follow this blog. Travel Blog powered by Traveloca | Create your own travel blog | Theme: Ryu by WordPress.com.